"...I'm guessing the author is talking about the Bell Beaker behemoth in that last sentence..."
And I think not. What they are after is the fact that Great Britain Celts did not seemed to be either Hallstatt nor La Tène. I think they are after what this last summer paper from Anctil, Mallory already addressed... aDna seems to follow Nm dental traits, does it not? "Dental anthropological study of the proto-Celts, and continental and non-continental Celtic tribes during the Iron Age, particularly its applicability in estimating biological affinities of these tribes, has been generally overlooked. The present study helps fill the gap in the current understanding of these groups in several ways. First, 36 morphological traits in 125 dentitions from four regional samples, representing the proto-Celts, the continental and non-continental Celts, along with a comparative European Iron Age sample, were recorded and analyzed. Frequencies of occurrence for each dental and osseous nonmetric trait were recorded for each sample. Second, the suite of traits was then compared among samples using principal components analysis, (PCA), and the Mean Measure of Divergence (MMD) distance statistic. Multidimensional scaling and cluster analysis were subsequently employed on the triangular pairwise MMD distance matrix to graphically illustrate the relationships between samples. These biological distance estimates suggest the following: 1) dental phenetic heterogeneity is evident across samples, 2) the proto-Celtic sample does not show any evidence of population continuity with the continental Celtic sample, 3) there is a significant difference between continental and non-continental Celtic samples, and 4) there is a comparably significant difference among the Celtic, proto-Celtic and comparative samples. Simply put, the comparative results suggest that these groups represent biologically distinct populations. These findings were compared with published cultural, linguistic, genetic and bioarchaeological information to test for concordance between dental analysis and other lines of evidence. Several previous studies defined the Celts linguistically, using languages to link all the populations. The present study does not support these findings, and suggests there is more genetic diversity than previously assumed under this linguistic hypothesis. Thus, it appears that the transition from proto-Celtic to Celtic culture in these regions, and the subsequent spread of Celtic culture to Britain during the La Tène period, may have been primarily a cultural transition. The present study comprises the most comprehensive dental morphological analysis of the Celts to date, contributes to an improved understanding of Celtic tribal relationships and microevolution, and provides an initial impression of Celtic relationships to other European populations during the Iron Age." I guess with enough samples from Iberian area, from Chalco to Iron age, will resolve your complains :) . I'm guessing you're aware of the Hinxton and Rathlin ancient DNA? You know, Iron Age Celts from England and Bell Beaker-like Bronze Age individuals from Ireland; very similar to each other and packing lots of steppe ancestry. BTW How well is the Iberian area covered , on that up coming large study ( With 200 + samples) on BBC?. I reckon the Bell Beaker behemoth will have more than 200 ancient samples by the time it's finally ready. Just a hunch. I don't know how many will be from Iberia, but there should be quite a few from there, because obviously it's a key area in the context of the Bell Beaker origins debate. But not all of the samples will be from Bell Beaker sites. There should also be various Neolithic and other Bronze Age samples, like probably from El Argar. Yes exactly . Maybe some queries with the scientists should be made , if we don't have reasonable sampling from there , that will seriously undermine the value of the study. Yes. but the text says is "origin of the Celts in what is now Great Britain..." and that has nothing to do with the BB conundrum. As far as I know, is what I've written - If they didn't get populations influx from those "Celt" Urheimat, then how the hell they became so solid Celtic... I think that is what they mean. Not Bell beaker issue. In what is now Great Britain: Bell Beakers > Celts. But IIRC , BBC influence did reach Britain, by around 2000 BC ?. Of course its still long far, to first attestations of Celts , but still we may argue, they were related to them, to some degree. ''Beakers arrived in Britain around 2500 BC, declined in use around 2200-2100 BC with the emergence of food vessels and cinerary urns and finally fell out of use around 1700 BC (Needham 1996). The earliest British beakers were similar to those from the Rhine (Needham 2005), but later styles are most similar to those from Ireland (Case 1993). In Britain, domestic assemblages from this period are very rare, making it hard to draw conclusions about many aspects of society. Most British beakers come from funerary contexts. Modern-day Brits and Irish are basically identical to the Hinxton Celts and Central European Bell Beakers. So British Beakers won't be much different from Central European Beakers. "that will seriously undermine the value of the study"
Apparently some are not happy with the samples and choices of those BB studies. there is a new effort with some British labs to try to extract as much as possible DNA from BB below parallel 45. I agree with you, either there is enough BB samples from bellow Parallel 45, and before 2500BC or what we are seeing is a a skewed perspective on the BB in central Europe. So, "Steppe", or CWC if you rather, only got to Iberia well into the Iron age when people following the network of bell beakers, and now as Celts or other, were allowed to move within certain parts of europe. Celts were allowed to get into south Portugal freely and without a fight and when Phoenicians or Carthage tries to cross the Guadiana river things always went bag really fast. So, Networks of kindship (blood or cultural) always works. "In what is now Great Britain: Bell Beakers > Celts." Yes. correct. That is what Anctil is saying. No influx of " Original Celts", yet they acquire lots or full Celtic traits. Maybe the original Celts were basically like modern-day Brits and Irish, Hinxton Celts, Central Euro Beakers and British Beakers? Its hard to tell ,as the attestations are almost one and half millennia after, those samples of around 2000 BC . But it will not be absurd to think, that they were related linguistically . Can any well versed folk here, tell us, that from the period of 2000 BC to 500 BC , any substantial Archaeological or Anthropological changes, were detected, that may suggest somekind of Linguistic influx or change in Britain and Ireland?. I posted an abstract here a for a paper a few months ago about genetic study being done on the La Tene/Halstatt period. It said that this period involved no migration. 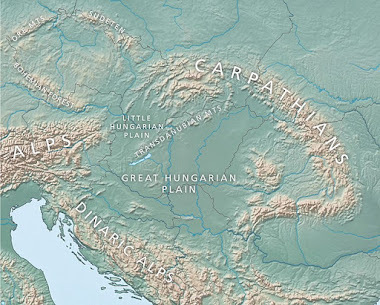 1) Balkans, Italy, Anatolia and North Caucasus 4000-2600 BCE (inc Maykop Culture). Do these populations (inc early and later Balkan farmers) fit into clines suggested as possible by EN-MN West-Central Europeans and the limited samples of Chalcolithic Armenians and Anatolians we have? "3) there is a significant difference between continental and non-continental Celtic samples, and 4) there is a comparably significant difference among the Celtic, proto-Celtic and comparative samples. Simply put, the comparative results suggest that these groups represent biologically distinct populations. " They should break the big behemoth into smaller behemoths.At this rate the Sun will incinerate the Earth before it comes out. "I posted an abstract here a for a paper a few months ago about genetic study being done on the La Tene/Halstatt period. It said that this period involved no migration." Can you post it again. Thanks. Simply put, the comparative results suggest that these groups represent biologically distinct populations. This won't be validated with ancient DNA. you're on! - its a Bet. As so will most Nmdental studies, when not completely overstretched, will yield positives. Sorry I spent some time looking for it but either my comment or the post was deleted. It wasn't in the ASHG abstracts but came from a set of abstracts later. There is no reason to a priori exclude later migrations from continent to Ireland & Britain, eg during MLBA; even if they were overall rather similar to the early Beaker-type groups. Just like when I tried to bring A V Zubova work into discussion was eviscerated long time ago. however a couple weeks ago it was fun and games wiht baltic and Ukraine affinities. so pretty much bridging baltic to just a tiny little east of Samara. Anctil is saying no IIRC (I have read it a while back). a Bell Beaker type arrived to the British Islands and for a while (even Celtic times) nobody really admix heavily with them, because Celtic people of the continent were altogether a different population. Suppose until Romans. Just my opinion here: La tene and Hallstatt where pretty much Iberian bell beakers dna. the british island took its admix from 3rd milenia migrations more like half breeds steppe BB/CWC. that is why Anctil finds them all so different. La tene and Hallstatt will look very similar to Central European Bell Beakers, and basically identical to the Late Bronze Age samples from Germany and surrounds. Otherwise there's no way to explain the high levels of North Euro and thus steppe ancestry in modern-day Iberians, because they couldn't have got it all from Germanic invaders during Roman times. you are right. When I say Iberian Bell beaker I mean Original BB (whatever it was) but with a certain amount of exogamy with more steppe CWC descendents people. For over 1000 years (very long time, wouldn't you say) that network, originally from the BB, worked perfectly. people moved and mixed. take Portugal as an example. Nobody crossed by the Turduli tribes territory (to me the direct descendants of Bell beakers) but celtic people did it and they did it peacefully. Celtic and turduli moved together in Lusitanian territory without a problem, and all others meant war? - cousins, they thought and accepted them. Personally, I think the general picture we've had concerning the ethnogenesis of Northern/Eastern European populations, ever since the Haak et al. paper, will turn out to be broadly correct (in its most general outlines). But with that being duly said and noted, the new Latvian and Ukrainian genomes do constitute hints of some complexity. So, although the general narrative isn't going to change in some radical/unpredictably shocking manner, the details really are going to be rather complicated (much more so than what we may have previously imagined), and I’d say that alternative scenarios have now gained much more plausibility (in terms of explanatory power). And, if this is operative when dealing with the ethnogenesis of Northern/Eastern European populations, then things are even murkier in the case of South Central Asia. To provide some context, I have a lot of older books dealing with the anthropology of Near Eastern/Central Asian/South Asian populations. Most of these authors belonged to a different era of American anthropology, so they often had an interest in the physio-anthropological details, which they tended to describe in "racial" terms, using Platonic/typological categories. In one such text, I found a few brief comments concerning remains from the Hotu and Belt Caves of Iran. Basically, these ancient people are described (in that text) as being very "robust", a point which is strongly emphasized. In addition, it is also says that these people represent a "non-Mediterranean strain" in the “racial” context of the Near East, a “strain” which "survives" strongest in the eastern half of this region. Somewhat interesting in a vague sense, but I didn't read too much into it. But later in the same book, this author mentions Pashtuns, Khurasanis, and Balochis/Brahui. This ancient strain is also prominent in the Brahui. Another white group remains to be studied, that of the Kafirs (my note: he means the Nuristanis of Afghanistan, and the Kalash of Pakistan)... They seem to run to an excess of blondism, and of archaic features..."
So, this is now much more interesting, because he was previously saying that ancient Iranian remains from the Hotu and Belt Caves were "robust, non-Mediterranean Caucasoids". And now, a few chapters later, he is saying Pashtuns, Balochistanis, and Nuristanis/Kalash are "robust, non-Mediterranean Caucasoids". Basically, he is noting a connection between South Central Asians and Mesolithic northeastern Iranians, despite this being long before the days of aDNA! But now, we do have aDNA, so we can explore these questions in a much more precise, solid, scientific manner, and without being tied to odd/faulty Platonistic typologies. Basically, this sample can be construed as 80% Iranian Neolithic + 20% ANE. And as we all know, Iranian_Neolithic itself is just Basal Eurasian + ANE, with some minor Villabruna-related or UP European-related ancestry. Iran_Hotu seems to be older than the Zagros pastoralists, so this model isn’t meant to be taken literally. Rather, this model serves to demonstrate that a continuum might have existed between the Iranian plateau and Central Asia/northwestern South Asia. Basically, since Iran_Hotu is more geographically eastern compared to the Zagros samples, it is also much more ANE-shifted. So, perhaps Chad and others really did have a point. I mention Chad in particular, because this is something he has often argued for. Perhaps, it might turn out that Central Asia really was long home to ANE-related populations, and this stream of ancestry still persists today in South Central Asia. And, perhaps this ANE substratum is responsible for why South Central Asians model better with EHG-rich steppe populations like Yamnaya/Afanesevo/Poltavka (despite the fact that those populations were R1b-rich), while our very own direct R1a1 ancestors don't work too well for us (in most modelling, especially formal methods). Keeping that in mind, I decided to model both South Central Asians and South Asians without Steppe_EMBA. Rather, the only steppe references I decided to include were Srubnaya (minus the outlier). The Srubnaya samples are very similar to Corded Ware, Sintashta, Andronovo, etc. On top of that, like Sintashta and Andronovo, some of their R1a1 is directly ancestral to Pashtun and Tajik R1a1. Also, I believe these are higher coverage samples in comparison to Sintashta. In addition, instead of the Onge, I used my ASI simulation. For one, the ASI simulation provides much tighter fits, and the results always make much more sense. In addition, as per Mark Lipson, who was kind enough to answer a few questions I had for him (I am quite thankful to him, and deeply appreciate his openness), Indian "ASI" is near the Onge/East Asian split, with an ambiguous position in relation to both. So, I'd say using the Onge is about as effective as using the Ami. Everything else is unmodified, it's my standard setup. Srubnaya-related admixture in India hovers around 0%, with only high caste North Indians showing any (around 10%-5%). But in South Central Asia, the lowest levels are around 20% for me/some other Pashtuns and Kalash, while some Pashtuns (a Waziristani) and Tajik_Ishkashim reach 40% Srubnaya, and Tajik_Shugnan seem to be at around 50%. Also, non-South Central Asian populations with heavy Srubnaya-related ancestry, like Chechens, show 0% MA1, only Srubnaya-related admixture. And Polish people can be modeled as 70% Srubnaya, with 30% WHG + EEF (I’m guessing 30% Middle Neolithic). Basically, no other West Eurasian populations outside of South Central Asia seem to display any MA1-related admixture. The phenomenon is totally restricted to South Central Asia and South Asia, so nMonte can distinguish between actual steppe ancestry and ANE ancestry, in this case at least. Also, as someone who is deeply familiar with Pashtun ethnography, and local tribal affinities, I know that these varying levels of steppe admixture make good sense. In fact, my confidence in these results is heightened by the variability Pashtuns show, with regard to steppe admixture. The Karlani Pashtuns of the central highlands were always good candidates for having the most steppe admixture. Even their now long dead traditions concerning personal attire and grooming are derived from Scythians. Anyway, although Pashtuns show variability with regard to steppe admixture, with a peak among central Pashtun highlanders, and a low among heavily Dardic-derived northeastern highlanders who instead show a peak in local ANE (with southerners in between, due to a variety of many well understood reasons, all having to do with Scythian/Hepthalite/Kushan settlement), Pashtun ASI levels are pretty tight. We all range between 5%-10%, not much variation. Anyway, I’m not saying that this is final, not at all. It could be that a Yamnaya-like population did contribute some serious ancestry to South Central Asia. It’s a strong possibility. Rather, it’s just that I am now much more open to the kind of modelling shown here. That’s all. Just to say that I can finally completely agree with you about this (since our debate goes back to the time when the Sintashta genomes were made available and Davidski started to model S-C Asians with them using qpAdm). And I'll remark the part about the possibilities and the need for more ancient DNA to really know (in this last thing we've always agreed, anyway). Yes, ancient DNA has kept bringing surprises and adding complexity. And S-C Asia is an unexplored area. I'm really excited about samples coming soon-ish (this year, if things don't go wrong). It's really a big hole we have in understanding West Eurasian ancestry (and we might add, the IE question - which it's not too important for me personally, but I understand its overall importance and the personal importance for many people). First of course , I also agree with what Alberto said . Anyway, my curiosity is this : Do Srubnaya gives better results for Slavs and Balts than of CWC , Yamnaya? in case of modelling them ?. . Yamnaya gives the best statistical fits, but this is because with Yamnaya the algorithm can vary the amount of Middle Neolithic or Early Neolithic + Western HG input. I can't see any difference when using Corded Ware and Srubnaya for Northern Slavs and Balts. They're both good ancestral populations. Not really surprising, since they're so similar. Thank you David . And what happens for Southern Slavs? :) . And one more thing, how good are all those Ukrainian samples , when they are used instead?. Ah, I should have also mentioned your ideas, as we really have debated these questions from the very beginning! Honestly, those Ukrainian and Latvian samples made me realize that things will be very complex. No simple cookie cutter scenario is feasible. On top of that, Iran_Hotu shouldn't be ignored, and I have tended to ignore that sample. I mean, its location isn't extremely eastern (only from near the shores of the Caspian), yet it is much more ANE-shifted compared to the Zagros pastoralists. Taking that into consideration, I guess it's only reasonable to entertain the possibility that ancient Central Asia was home to ANE populations, and that this stream of ancestry still persists in living South Central Asians. And, perhaps this is why one can model Kalash and Pashtuns as having the same amounts of Yamnaya-related admixture as Northern/Eastern Europeans, even though South Central Asians might not have any ancestry from Steppe_EMBA populations. This point finally found itself into my mind, after I read an old book on Near Eastern anthropology (lol). Interestingly, although Pashtuns with roots in formerly Dardic-occupied areas do show heavy ANE (20%-15%), and only 20% Srubnaya/Sintashta/Andronovo (the heavy ANE + only 20% Srubnaya applies to me and other Pashtuns with similar roots in northeastern Afghanistan), other Pashtuns from tribal confederations with hypothesized Scythian or Hepthalite connections do seem to be around 40% Srubnaya/Sintashta/Andronovo (Khostwal and Wazir), while the Ghilzai are around 30%. And, Tajik_Shugnan do seem to be around 50% Srubnaya/Sintashta/Andronovo. So, I guess later dynamics in the historical era, like the Kushan empire and the Hepthalite empire, or even the "Saka", did leave a substantial genetic legacy that still survives with some populations in the region. But, it seems that perhaps the supposed Indo-Aryan migration didn't leave much of a genetic impact, as most Indians can be construed as 0% Srubnaya/Sintashta/Andronovo, and high caste North Indians seem to hover around only 5% (although, Jatt samples will be different, but they also have historical Scythian/Kushan/Hepthalite connections, so they don't really count). Regardless, we do find ourselves in full agreement now, although aDNA could shake things up. I really can't wait to see some aDNA from this part of the world, as we've been extremely patient for such a long time. Or we can propose with also in Agreement with Archaeology + Tradition, Which includes ancient texts , that such migration NEVER happened . A thing , that I am suggesting here ,for years . But let the aDNA speak , lots of ancient voices are coming ! ;) . And we will love to hear from them :) . I guess we all need to wait for some aDNA, which will certainly prove to be very interesting, whatever it may show. And its coming :) . This year will not be forgotten . And one more thing, how good are all those Ukrainian samples , when they are used instead? Southern Slavs look like a mixture of Northern Slavs and native Balkan groups, which is what they are. The new Ukrainian samples don't have enough markers for really detailed tests like this, but they look like decent references for all Northern and Eastern Europeans, and for Corded Ware and Srubnaya. Or we can propose with also in Agreement with Archaeology + Tradition, Which includes ancient texts , that such migration NEVER happened . A thing, that I am suggesting here,for years. There's a reason why Z93 reaches 30% or more in much of South Asia, and why it's now showing up in Bronze Age Europe. You can't get around this. aDNA from South Asia won't help you. "There's a reason why Z93 reaches 30% or more in much of South Asia, and why it's now showing up in Bronze Age Europe." Has R1a-Z93 been found in Bronze Age Europe? Which paper covered that and which specific samples were Z93? Or do you mention it from your advance knowledge of some upcoming papers? There are published Poltavka, Potapovka and Srubnaya samples that belong to Z93. Obviously, they're from Europe, since they were dug up west of the Urals. Not sure how you missed this? "There are published Poltavka, Potapovka and Srubnaya samples t"
oh, that Europe... you must be getting nervous. with the tension you have been building the last months about it, it better be really extraordinary or it will be very disappointing. It's sort of funny, because neither you nor Nirjhar understand the data, like not even the basics, so you simply don't have a clue how utterly hopeless your positions are. You'll find out one day, but it'll take you a while. @Davidski... yes, that is what I am saying: resorting to figures of authority it might have worked in the past. Now, not really. I will be, however, very attentive to the spins here in Eurogenes as the next two years unfold. I figure there will be plenty of it. Lets just be calm and wait. I see you have deleted your comment. too bad. It was a very good group thinking and Echo Chamber comment. "Maybe the original Celts were basically like modern-day Brits and Irish, Hinxton Celts, Central Euro Beakers and British Beakers?" Truth is the conversation was about Anctil work and no. He says no! they were not the same stock - You and Davidski might not like or agree but you bothneed to get used to the "---So what!" . Its a Nmdental traits scientific paper against the "feelings" of either of you. Those look pretty good. I've only used Sintashta in my analysis, but I'll try Srubnaya too since they're better quality. Well, are the dental differences between the different Celtic groups bigger than those between Hinxton and CE Bell Beaker or Irish and Welsh or whatever? Not something I can answer by memory. But Anctil work is available, so please do check-it out and see if those answer are in there provided. What I retain (read it in august last year) is that to their demise Britiths Celtic population was not at all related to Halstatt nor those to La tene. Weird, they thought. I had a look. It seems to be dealing with only a few locations, and the British Celts are only a group of burials in Yorkshire that were thought maybe to be La Tene culture immigrants from across the Channel. I couldn't find any comparisons with modern populations - probably one could compare the raw distance data but I don't have the time or patience. However is funny. we take DNA from one sample and make vast inferences about the all populations. Here they used a large amount of samples... but we are always quick to notice its not from all over Britain...! That is why I am sure the future of adna is going to brink surprises that will turn the table. "There are published Poltavka, Potapovka and Srubnaya samples that belong to Z93. Obviously, they're from Europe, since they were dug up west of the Urals. Not sure how you missed this?" I was aware these samples from Russia were Z93. I just overlooked that they were in Europe because I've gotten so used to considering Russia as a separate entity, in the manner the Caucasus is considered a distinct entity. To explain, it's because European-Russia was at times in history treated as a sometime outsider by non-Slavic Europe. (Illustrated in "Russian Ark", for example.) And the treatment continues today too, though in a different way, even by once compatriot Slavic populations, as is apparent in the manner that some European news headlines about Russia are intentionally phrased. It makes no difference where the geographic or political line between Europe and Asia was drawn at different times. It's actually very easy to differentiate Europeans from Asians, including West Asians, using DNA. The border is pretty obvious, and it's around the Urals. And all of the Bronze Age samples from the steppe carrying Z93 cluster firmly with modern Europeans.